Autumn is here! Well at least officially, because here in Portugal the temperatures are still quite warm. 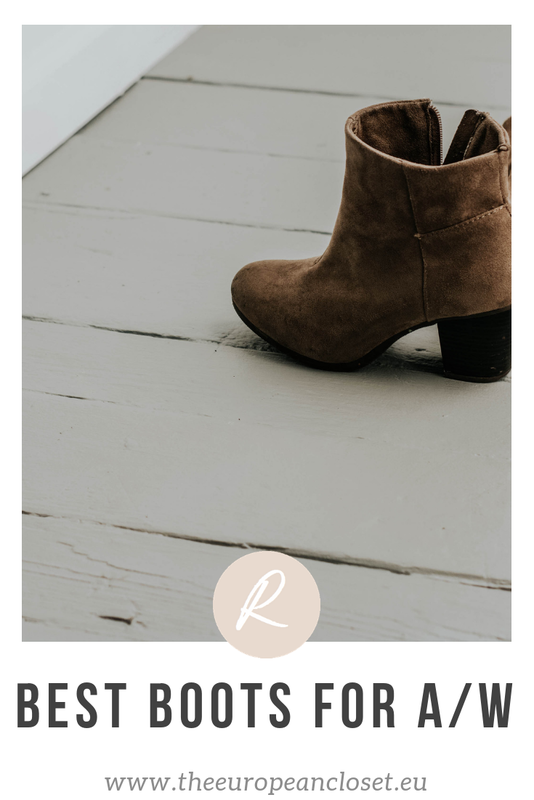 Even though this is my current situation I know that is other countries the temperatures are already dropping down so I'm sure a lot of you are already thinking about your autumn/winter wardrobe (and I envy you to be honest) so I've decided to gather up a few of my favourite boots for this season. I think boots are a great way for people like me, who prefer more basic pieces, to step out of their comfort zone in a way that won't make you feel weird. I've gathered a few more flashy boots as well as more basic ones for more everyday wear.